Afghan Peace Volunteers Duvet Project APPEAL 2013/ European Drone Warfare/ Pregnancy in Afghanistan Is this email not displaying correctly? 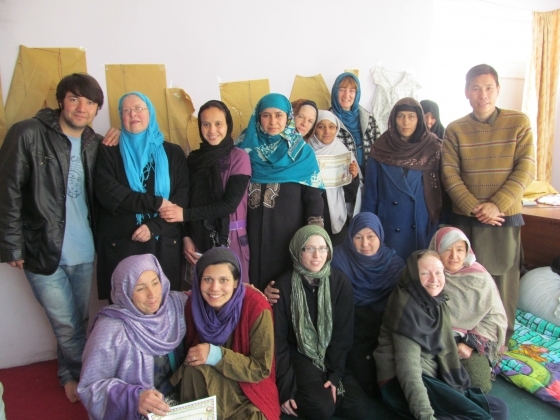 Last year, the Afghan Peace Volunteers, and a women’s sewing cooperative worked very hard to create and distribute 2,000 duvets. The APVs want to organize The Duvet Project again this year, with a projected budget of US$40,000 ( US$20 per duvet ), similar to the budget for last year’s Duvet Project. Last year, your concern and generosity enabled people in Afghanistan to help one another. Funds were swiftly raised to purchase materials and pay a living wage to seamstresses who could then provide food and warmth for their own families. If you and your communities are again able to contribute funds for the duvet project, your help will be greatly appreciated.